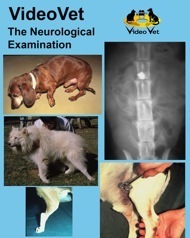 This DVD/CD combination shows a complete neurological examination of the dog. A systematic approach is used beginning with evaluation of posture and gait, postural reactions, and then the pelvic limb, thoracic limb and perineal reflexes. Next, conformation and panniculus reflex are examined. Finally, a detailed cranial nerve examination is performed followed by the sensory examination.